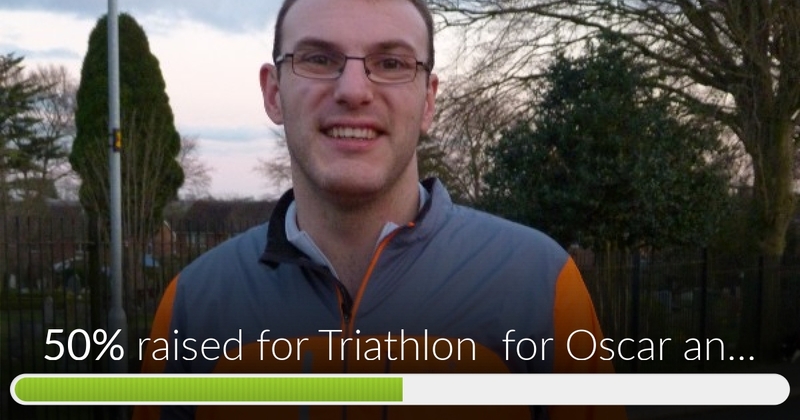 Fundraiser by Mark Faulkner : Triathlon for Oscar and friends. Triathlon for Oscar and friends. My name is mark and I am doing the Outlaw half triathlon. 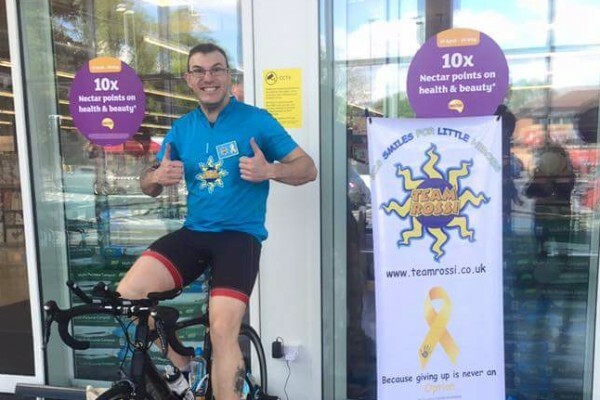 This consists of swimming 1.2miles cycling 56 miles and then running a half marathon. I have not swam in about 20 years and have never ridden a road bike so this is going to be a big challange. I am doing this for a good friend whos son was diagnosed with leukaemia after having a bone marrow transplant he is on the mend but a lot of his friends are still battling hard. The funds raised will go to The Team Rossi foundation. This is a small charity set up to help give the kids treats on the same ward that Oscar was on. such as trips away from the ward and family holidys as many of the familys have to give up work to take care of their children in hospital so have limeted funds available. Any donation big or small will be greatly recieved. I have funded everything myself so all donations will go to Team Rossi. The triathlon takes place on the 29th may 2016 at Nottingham Holme Pierrepont. I will be training throughout winter and will put updates on how it is going. Thanks for looking. I am now also doing a half marathon on Sunday the 19th June this will be based at eye Kettleby lakes. Triathlon for Oscar and friends. has reached 50% of its goal. Thanks to everyone you all are amazing. Thank you so much for all the likes and shares what an amazing bunch of people you are for giving so generously. Well the bike is back out the shed 30 miles done today. Tough ride first one in a while and a bit windy but all good. Thank you to everyone for donating it really does mean a lot. Well foot seems to be all better now so back running and racking the miles up in the pool aswell. Can't wait for the weather to change so I can get the bike out. Hi Mark, I work at BBC Radio Leicester and I was looking to have a chat to you about this. Could you give me a call on 0116 201 6681! Thanks ever so much and good luck! Best of luck Mark. Awesome achievement!